Glass will be released by Universal Pictures on January 18, 2019. 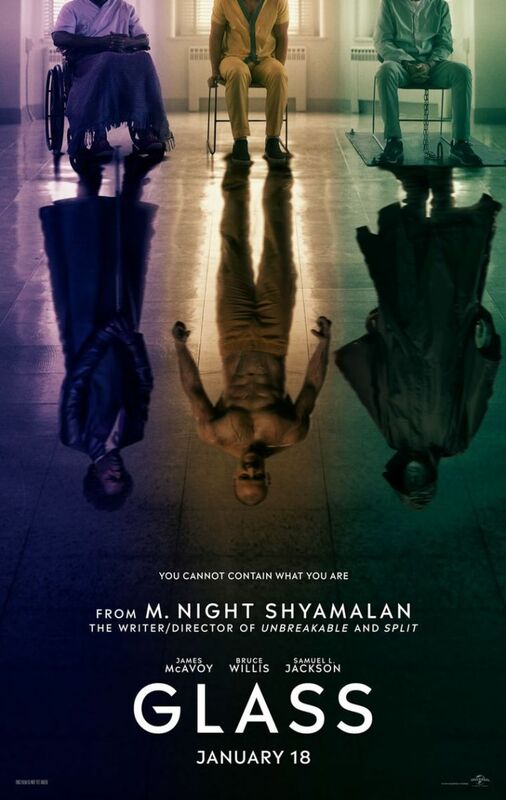 Fresh from the Universal Pictures panel at San Diego Comic-Con, the highly anticipated first trailer for M. Night Shyamalan’s upcoming Glass has arrived online! This riveting culmination of his worldwide blockbusters, Unbreakable and Split will be produced by Shyamalan and Blumhouse Production’s Jason Blum, who also produced the writer/director’s previous two films for Universal. They produce again with Ashwin Rajan and Marc Bienstock, and Steven Schneider, who will executive produce. 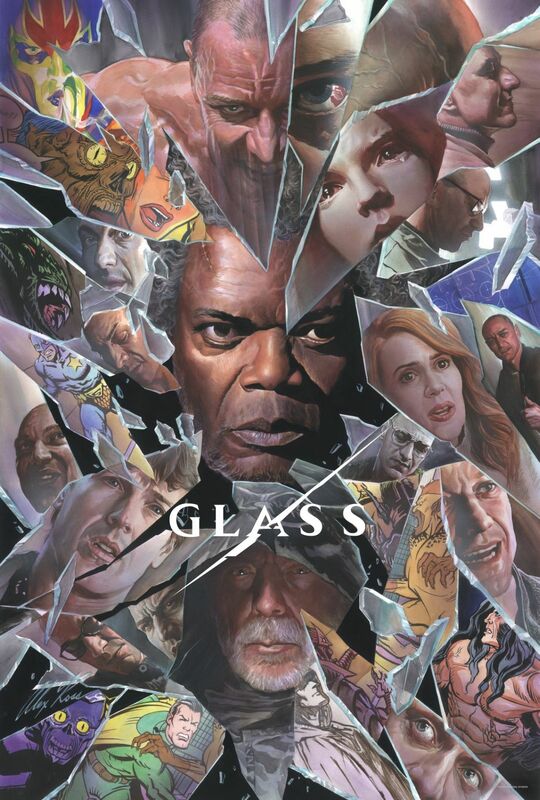 A Blinding Edge Pictures and Blumhouse production, Glass will be released by Universal Pictures in North America on January 18, 2019. Universal Pictures released the synopsis for Glass which will pit The Beast against David Dunn in a scheme organized by the one they call Mr. Glass. Check it out below. The writer-director announced the news Wednesday on Twitter after months of teasing a new script he’s been writing. 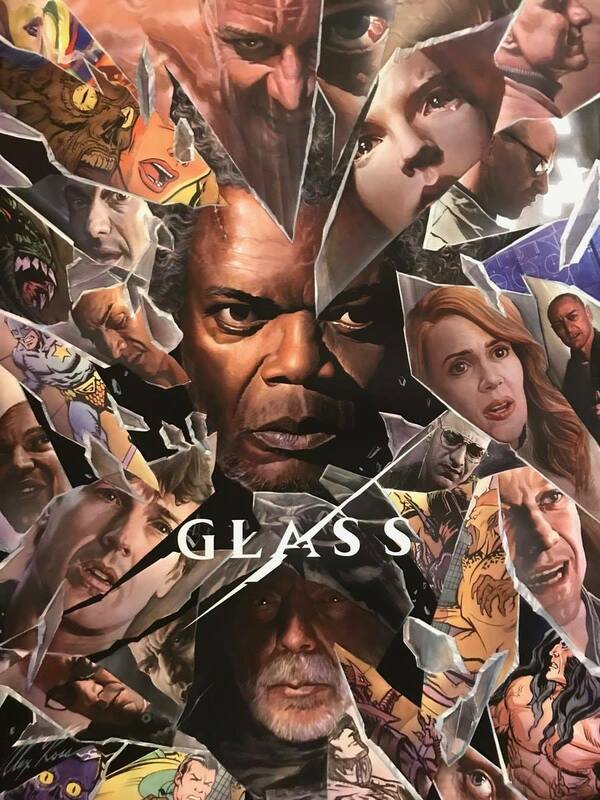 He revealed the film is called Glass, and that Bruce Willis (David Dunn) and Samuel L. Jackson (Mr. Glass/Elijah Price) will return. Universal will release the film Jan. 18, 2019. Unbreakable, which Shyamalan released in 2000 one year after skyrocketing to stardom with The Sixth Sense, deconstructed the superhero genre and remains one of his best-regarded works. Shyamalan is coming off a hot streak, with his latest movie, Split, earning more than $275 million worldwide on a $9 million budget. Split starred James McAvoy as a kidnapper with multiple personalities and Anya Taylor-Joy as Casey Cooke, one of the young women who must fight to survive his capture. With Split, Shyamalan pulled off perhaps his greatest twist yet. A last-minute cameo from Willis revealed that Split is set in the same universe as Unbreakable. In January, Shyamalan revealed to Heat Vision that Split villain Kevin Wendle Crumb (McAvoy) was actually included in his first drafts of Unbreakable, but had to be cut out. He also revealed he was hoping to write and direct a third film that would include characters from both films. Glass will be produced by Shyamalan and Jason Blum, with Ashwin Rajan and Marc Bienstock, and Steven Schneider, who will executive produce. Riedel, an Austrian company that makes specially designed glasses to bring out the flavor of certain wines and spirits, has made their first glass for a non-alcoholic beverage. The specially engineered Coke glass is designed to ensure the right balance of “sweetness, acidity, minerality, and effervescence,” so that you can pretentiously smack your lips and comment on the “longer finish” and more “intense aroma” of your soda. Coca-Cola asked the company to make a new glass last February. 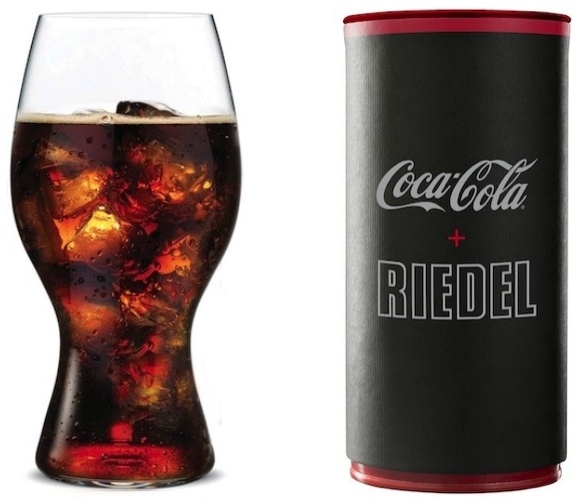 Riedel now has a licensing deal with the soda company, the first time Riedel has worked with a non-alcohol brand. With wine glass sales slowing in Europe, Riedel sees glassware for carbonated beverages as an untapped opportunity. The glasses already in stores sell in sets of two for $29.90 and the first run will be 80,000 pieces.